The Los Angeles Dodgers claimed relief pitcher Preston Guilmet off waivers from Tampa Bay and designated Chris Reed for assignment. 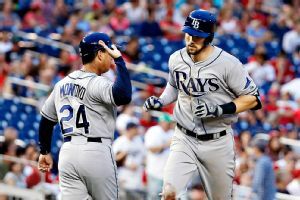 The Rays placed outfielder Steven Souza Jr. on the disabled list with a lacerated finger and reinstated utility man John Jaso before Tuesday's doubleheader in Kansas City. 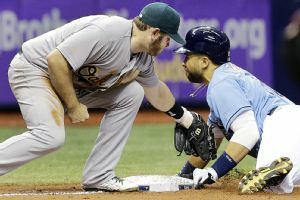 The Tampa Bay Rays have activated first baseman James Loney from the 15-day disabled list and inserted him into the cleanup spot for their game against the New York Yankees. Tampa Bay Rays outfielder Desmond Jennings has had arthroscopic surgery on his left knee. The Tampa Bay Rays have put first baseman James Loney on the 15-day disabled list with a broken left middle finger, and expect him to miss four to six weeks. 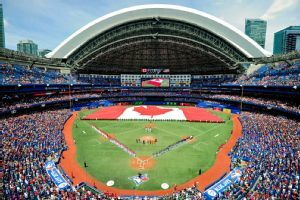 The Blue Jays have put outfielder Michael Saunders on the 15-day disabled list with left knee inflammation and selected utility player Steve Tolleson from Triple-A Buffalo. 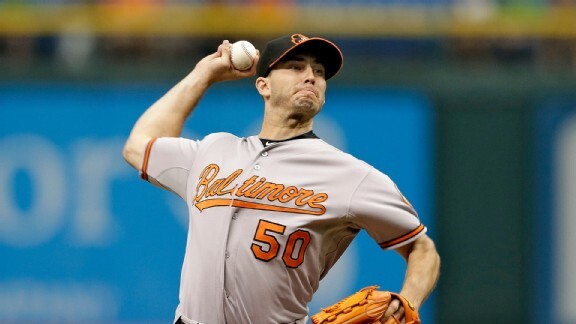 The Baltimore Orioles placed right-hander Miguel Gonzalez on the 15-day disabled list Friday rather than risk sending him to the mound with a strained right oblique. 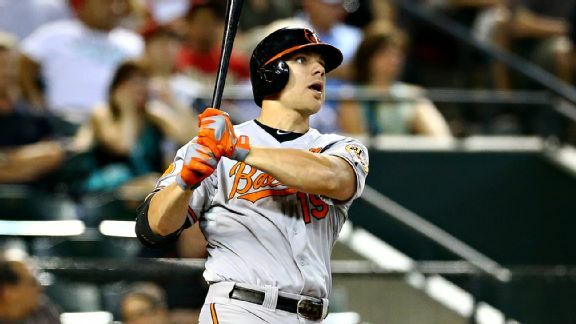 The Baltimore Orioles have placed first baseman Chris Davis on paternity leave and added catcher Nick Hundley, who was obtained in a trade with San Diego on Saturday. 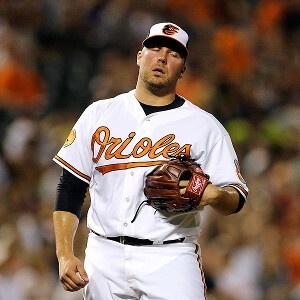 The Baltimore Orioles have placed right-handed reliever Tommy Hunter on the 15-day disabled list with a strained left groin. Carlos Carrasco is joining Cleveland's tired bullpen for an undetermined stay.